So you have decided to make the move to sunny Brisbane but you’re not sure where to start. Moving is one of life’s most stressful events that are compounded by the emotional stress of a major life change. Moving can be an exciting time however it can quickly become a negative experience when things do not go to plan. There are many things that can go wrong with moving and although sometimes they are out of your control, there are lots of ways to reduce the stress and anxiety so you can focus on the reward ahead. FindaMover – as its name implies, the website offers its customers a quick, easy and free service to not only find reputable Brisbane removalists but removalists Australia wide. Here you can find and compare movers based on your budget and moving requirements all in one place. Read company profiles and reviews and choose the one that is right for you. CleanersNOW – regardless whether you are renting or selling your house, you will need to vacate the property and get it ready for the next occupier. CleanersNow provides a competitive platform to find quality end of lease cleaning companies who are keen to win your job. Remove the clutter – moving provides a great opportunity to let go of some of the things that have been holding you back, take time to think about what you need and don’t need. Things that do not serve a purpose in your new place needs to be tossed out or given away. There is no point in paying expensive moving costs for items to be moved and locked away again. Be organized – there is nothing worse than leaving a big move to the last minute. Stress comes on when we feel less organized and overwhelmed at the situation we’re in. So plan ahead, 3 months ahead in fact, have a list of things that you need to do and split them up into achievable tasks over a 12 week period. Take time to say goodbye – moving away from a place that you have comfortably called home for a big part of your life can be highly emotionally stressful. It is therefore important to allow yourself enough time to say your farewells and have a celebration with friends and families, take the time to visit favourite places and allow yourself to relive some of those memories. 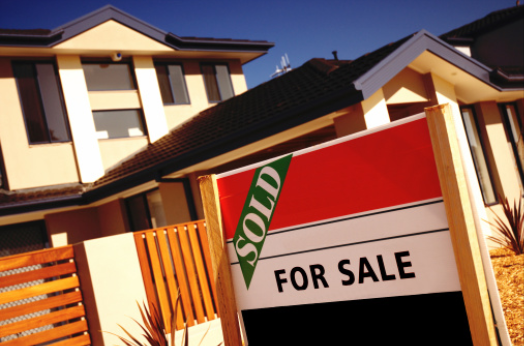 Why Sydneysiders are Moving Interstate to Brisbane? According the 2016 Census, the population in Brisbane has risen by almost 10 percent in the past five years from 2.07 million to 2.27 million. The capital of Queensland is quickly becoming a popular city to migrate to, not only for foreigners that are relocating to Australia but also for interstate migrations and a majority are making the move up from Sydney. Brisbane accommodates for approximately 2,884 hours of sunshine each year, that’s a whopping 300 hours more sunshine than what is expected in Sydney annually. It is not surprising why many Australians escape the winter months by holidaying in the northern state. The climate in Brisbane is subtropical and remains relatively warm or hot for most of the year; winter in Brisbane is dry with blue skies, an average temperature of between 9-21 degrees will be experienced in the colder months. There are many reasons that are considered the driving force towards Sydneysiders choosing Brisbane as their preferred destination than anywhere else. Sydney house prices are nearly double those in Brisbane, this is the number one driving force behind Sydneysiders making the move up north. A new analysis shows that buyers in Sydney would require earning more than $180,000 a year to avoid spending more than 30 percent of their income on mortgage repayments. Weak wage growth has contributed to the deterioration of housing affordability, with Sydney’s Median house price more than $1 million, Sydney home buyers must have $55,000 available a year to service their loan. For many Sydneysiders, this is just not feasible or the risk and stress associated may be too great, therefore to relocate to Brisbane where houses are more affordable makes financial sense. 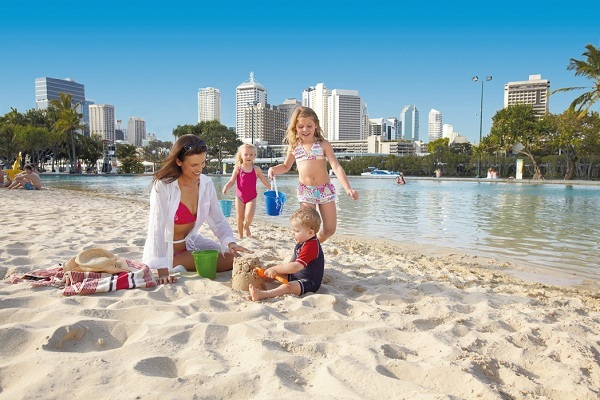 There is no doubt that there are more sunny days in Brisbane, it is a destination deemed Australia’s tourism capital and it is where people want to come for a holiday, to relax and enjoy time with family. The lifestyle in Brisbane is truly remarkable and is a stark contrast to Sydney’s endless hectic rat race. People are more friendly, meetings are less formal and it’s all got to do with the amount of sunshine in the sky, it makes people want to be outdoors and enjoy life. 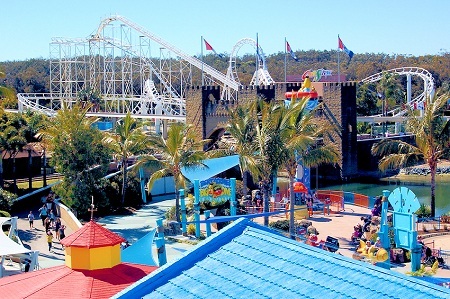 Brisbane is perfectly located within close proximity to the Gold Coast and Sunshine Coast; you will also find Dreamworld, Movie World and Sea World within an hour’s drive away. Located inland, a hinterland of picturesque country towns to explore, mountains filled with rainforests, bush walking tracks and stunning views. It is easy to understand why Brisbane can offer a great work and life balance compared to Sydney where longer working hours are the norm.